Some of the 50 STANDARD rooms (269 ft2) can be adjoining rooms. Adjoining rooms are 2 standard rooms connected through a hall. You can add an extra single bed in each of the rooms in order to accommodate up to 6 people. Each room is equipped with a kitchenette and free Internet connection (Wi-Fi and cable). 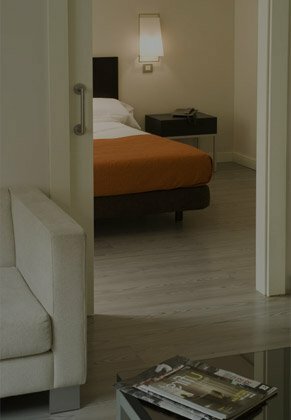 One of the rooms is equipped with 2 single beds while the other room is equipped with 1 double bed.